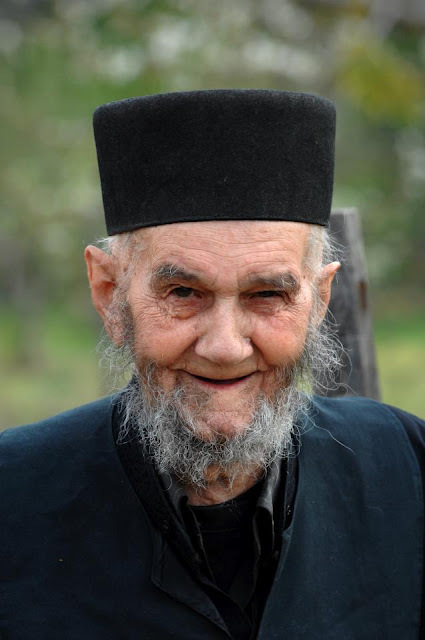 Today, Sunday 29 July 2012, the oldest living monk on Mount Athos reposed in the Lord. Fr. John of Hilandari was 105 years old. He lived at the Serbian Monastery of Hilandari. Fr. John (Jovan), known in the world as Vitomir Radojičić, was born on 10 May 1907 in Serbia, in the Belgrade suburb of Umčari. After he completed his studies, he opened a store and dealt with trade. He remembered bitter stories of hunger, pain and death from World War 1, and recalled spending nights with other boys in churches so as not to be found by Germans. Following World War 2 he emigrated to Italy, Germany, and eventually England, where he married. 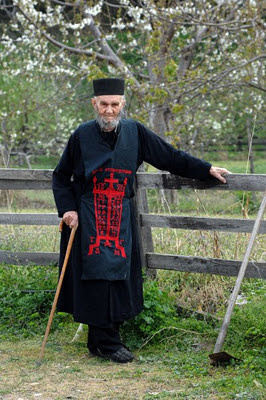 It was soon after that his wife died and he decided to become a monk at Hilandari Monastery. Since then he never stepped foot off of the Holy Mountain. Though he was a patriot of Serbia, he never once visited since World War 2, because, he says, "It is not the place I knew. It would not remind me of my childhood years and this would sadden me. I want to have beautiful memories of my country." He lived a life of prayer and obedience. 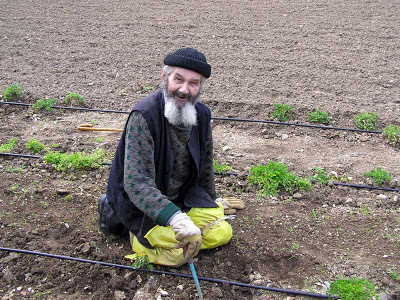 His service work all these years since he arrived on Mount Athos was as a gardener. Many remember him as the monk with bags on his knees crawling throughout the garden. The other monks remember his great sacrifice during the great fire of 2004, which brought part of the monastery to ashes in the early morning hours of March 4th. As the flames were destroying the monastery, Fr. John battled the fire and saved many precious icons which were near his cell. 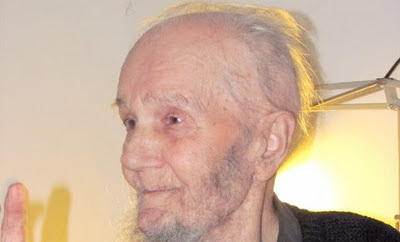 A young man in 2005 once told him that he would pray for him to reach 100 years of age. The Elder responded to him: "You do not really want this, my brother, I have 99 years on my back." He loved Serbian poetry, and himself wrote many books of Serbian poems which he titled "Foreigners". 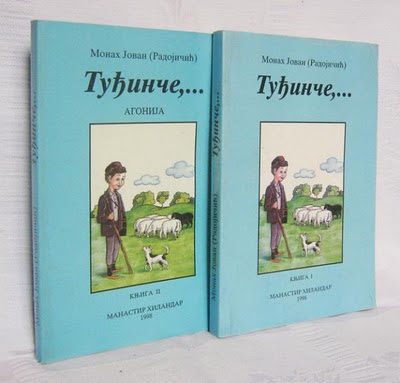 The first volume has the nature of a fictional narrative, the second volume contains brief stories from his homeland, the third recalls his experiences with the concentration camps and emigration to England along with hymns to God, and the fourth volume was published in 2006 and refers to the dissolution of the former Yugoslavia. As for his book "Lyrics of Hilandari" (2002), it is dedicated to the most beautiful and touching moments he experienced at the monastery. 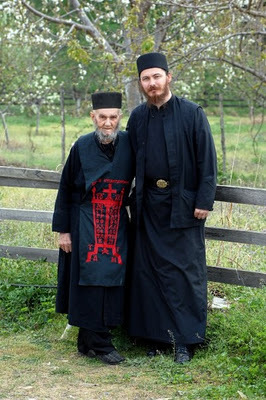 In 2009 he finally abandoned his typewriter and began using a laptop which was given to him by his brothers at the monastery. When he went to sleep last night, he did not awake. He died as he lived, peacefully.